Democratic lawmakers called for an investigation amid reports that a charitable foundation created by Zinke and run by his wife, Lola, was allowing a company co-owned by Halliburton chairman David Lesar to use the foundation's land for a commercial development. 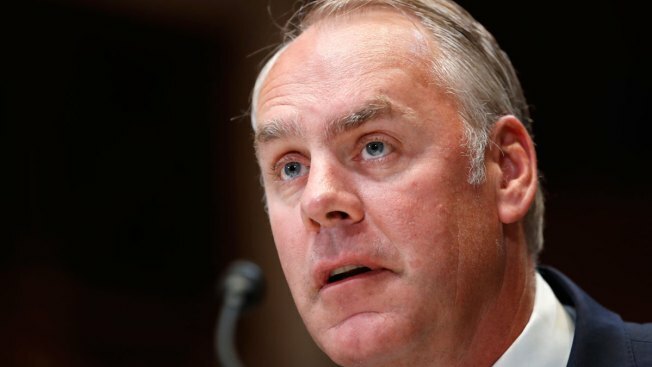 Zinke also met Lesar, Lesar's son and Montana developer Casey Malmquist in his Washington, D.C., office last August, according to emails the Democrats received in a public records request. "On June 20th, the OIG opened an investigative complaint into purported business activities by the Secretary," inspector general spokeswoman Nancy DiPaolo said. "A preliminary review is underway." 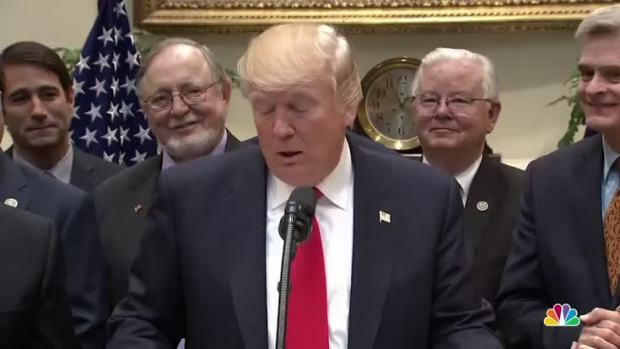 On the 99th day of his presidency, Donald Trump reversed some of his predecessor's environmental protections with an executive order that could expand offshore gas and oil drilling in the Arctic and Atlantic oceans. The order directs Secretary of the Interior Ryan Zinke to review a plan that dictates what locations are open to offshore drilling. 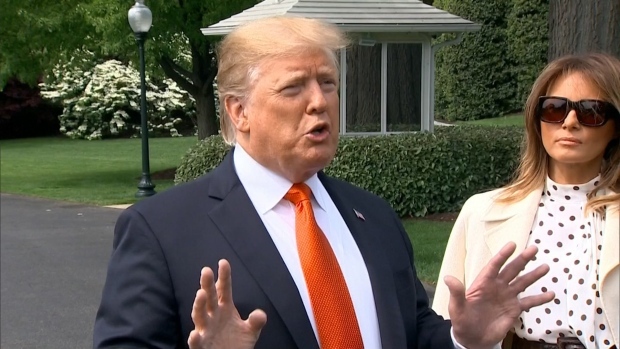 That review will determine whether the office opens a full investigation into the deal, though no timeline has been set, she said. Interior spokeswoman Heather Swift said Zinke has done nothing wrong and that he resigned from his charitable foundation's board of directors before the land deal was made. "The Secretary adheres to all applicable laws, rules and regulations," Swift said. "He goes above and beyond mere technical compliance and strives for full transparency. We are confident the IG report will confirm that." Democrats led by Rep. Raul Grijalva of Arizona, along with conservation groups, say it's inappropriate for Zinke to be involved with a private land deal with a man whose company would benefit from the Trump administration's push to increase energy drilling on public lands. Halliburton spokeswoman Emily Mir has said Lesar's commercial development in Whitefish has nothing to do with Halliburton, nor did Lesar's meeting with Zinke in August. In that meeting, Lesar was seeking background information about the land owned by Great Northern Veterans Peace Park Foundation that Zinke founded, Zinke said on the Voices of Montana radio program Wednesday. Lesar is looking to build a hotel, microbrewery, art gallery and office space on land next to the park, which BNSF Railway donated to Zinke's foundation in 2008. An agreement between Lesar's company and the foundation now run by Lola Zinke gives Lesar's company foundation land for a parking lot and another entrance to the property. The Whitefish City Council approved a zoning change for the project in January, though Lesar's company has not yet applied for permits to build.